SJN's application for Specialist School status has been delayed slightly because the Government changed the format for paperwork presentation and it all had to be redrafted. This has allowed an extra couple of months for sponsorship, and anyone who could consider sending a donation or had intended to do so but didn't get round to it is again urged to send anything, no matter how small. The school has to raise £50,000 and so far has pledges or cash to the value of £45,000 so needs to raise the final 10% within the next few weeks. Cheques should be payable to SJN Specialist Status Account. If you have any enquiries about donating, please get in touch with The Head. Nick writes: "I am now living in the interior of BC in a little place called Enderby in the Okanagan 25miles north of Vernon. Enderby incidentally was named after some Church bells in LIncolnshire [The Enderby Bells, anyone know where these are please let me know] Any one passing this way must stop in and say HI . It's in the mountains and just magnificent." (Nick's address was supplied but is not published here). 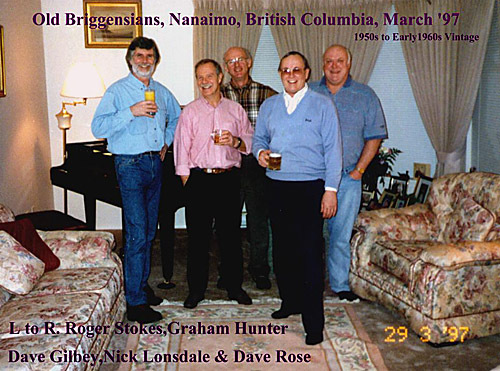 Here is the photo of a 1997 reunion which was first published on the old Briggensians web page. Dr F Henthorn's History of BGS Is Now In Our Library! 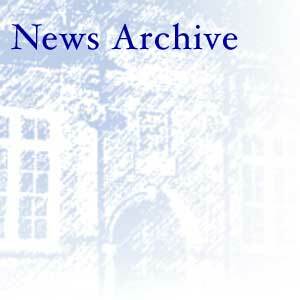 Thanks to the hard work of Mike Spencer, Dr Henthorn's History of Brigg Grammar School 1669 to 1919 with additional supplements published in 1969 is now available for download from the Briggensians.net Library. Mike has converted this entire hard-to-obtain work into an Adobe Acrobat file which includes all the original illustrations as well as the 1969 "update". He has also included the school pupil roll from 1879 to 2000. Using the free Adobe Acrobat Reader program, you can not only read and print these materials but also search all of them for any word or phrase. The file is inevitably large - at 12.4 megabytes, a broadband internet connection is recommended. Also new in the Library: "Remembered with Advantages" - Memoirs of BGS 1941-48 by J A Rhodes. Photographs by James Muir and Joanne Ebdon. Click here! The Secretary has received an e-mail from Sebastian Möller, a former pupil of SJN's partner school in Handrup. He and some friends who took part in the exchange in 1996 are trying to get in touch with their partners who have moved or changed their e-mail addresses. "Some names are Mark Kirke, Steven Jahoda, Elizabeth Hayward, Lucy Lee,... " writes Sebastian.